Are you looking to get away? Do you spend spring, summer and fall hitching up the camper and heading out to that next big adventure? Is your RV so well used that your home has become your home-away-from-home? For those who love the smell of crackling fires, the sound of crickets on a summer night and the sight of an open sky full of stars, CURT lets you Bring It®! From weekend camping trips to cross-country RV excursions, we have the equipment you need to make the most of your journey. 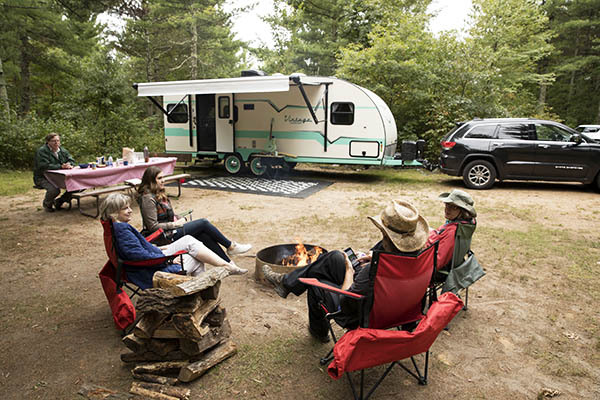 Whether you’re a full-time road warrior or you simply enjoy taking the RV trailer out of the driveway a few times a year, CURT 5th wheel products makes it easy to relax and savor the trip. Our A-series 5th wheel hitches offer safe, smooth towing with their patented articulating head and easy-to-operate, single-throw handle. The A16, A20 and A25 are all tested to SAE J2638 protocols and backed by a limited lifetime warranty. We also offer the quiet Q-series and economical E-series. Mount any of our 5th wheel hitches quickly and securely using our OEM puck system products. These 5th wheel legs and rollers easily drop into the truck bed puck system and lock into place using simple quarter-turn anchors (truck bed puck system required). If you’re planning to drive your RV to your favorite destination this season, you’ll want CURT along for the ride. Our RV hitches are fully adjustable to fit most RV frames. They come with a standard 2” receiver tube and are shielded in our industry-leading co-cured finish for maximum rust, chip and UV resistance. To bring your car along for the adventure, CURT tow bars and towed-vehicle RV harnesses make dinghy towing easy. The bars are highly adjustable to fit a variety of vehicle frames, and our RV harnesses offer a vehicle-specific fit to easily plug your car into your RV’s 4-way flat connector. We also offer RV towing lights if a CURT RV harness is not available for your specific vehicle application. For towing a large travel trailer with your truck or SUV, the CURT TruTrack™ weight distribution hitch is particularly unique, featuring integrated sway control for the safest, smoothest towing possible. It actively keeps the trailer aligned with the tow vehicle and is available in multiple GTW capacities. For pop-up campers and other smaller trailers, the CURT light-duty weight distribution hitch offers extra control on the road and enhanced safety for you and your loved ones. 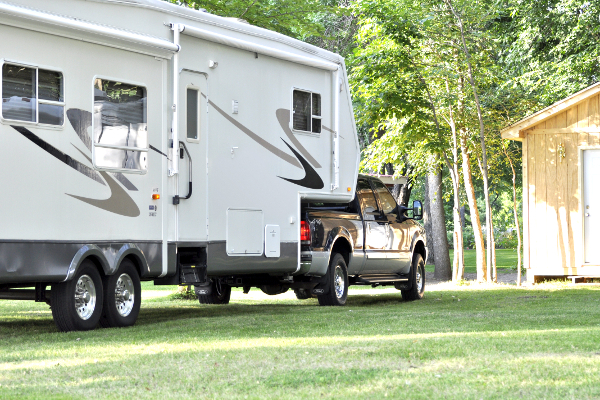 Whatever you’re towing – from conventional trailers to pop-up campers – CURT has everything you need for a safe, successful trip, including custom trailer hitches, ball mounts, safety chains, custom wiring and hitch locks. We offer the complete towing system: everything to couple your vehicle to your trailer and keep your toys and supplies packed up safely for the adventure. CURT also makes packing every last bike, cooler, tent and backpack easy with cargo management products. 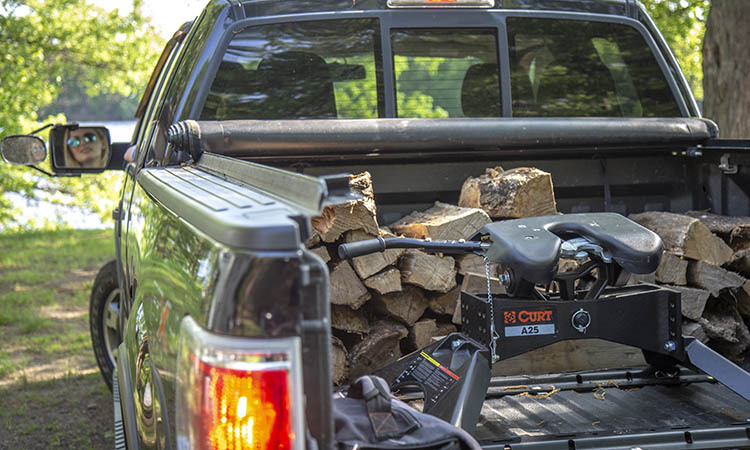 CURT bike racks are available in multiple sizes and styles, all featuring a convenient hitch-mounted design. We also offer cargo carriers with the same hitch-mounted convenience to mount on either the front or rear of the vehicle, using a front-mount or rear-mount trailer hitch.